We answer wildlife emergency calls from 8am to 8pm 7 days a week. We send occasional mails to let you know about our current initiatives, share Cape Cod wildlife stories and announce our upcoming events. 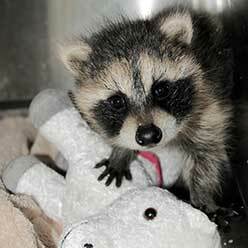 Berkshire Wildlife Services Treats injured and orphaned wildlife with the goal of releasing them back into the wild. Dawn Collins specializes in coyotes, bobcats, foxes and raccoons. Cape Ann Wildlife is dedicated to rescuing and providing the necessary rehabilitative care to all injured, orphaned or otherwise impaired wildlife during their confinement and adjustment period. Cape Ann Wildlife, Inc. works hard to ensure their survival upon release back into their natural environment. Cape Cod Bird Club An organization whose members are interested in the protection and conservation of the bird life and natural resources of Cape Cod. Cape Wildlife Center Helping People, Helping Wildlife. The Cape Wildlife Center is a non-profit wildlife hospital and education center located in Barnstable, Massachusetts. Connecticut Wildlife Rehabilitators Association Provides the public with assistance for distressed wildlife through our network of trained volunteers, the Department of Energy and Environmental Protection (DEEP) and veterinarians. New England Wildlife Center Founded in 1983, New England Wildlife Center is non-profit care-based science education organization. We provide critical veterinary treatment to sick, injured, and orphaned wildlife in need now, and help people of all ages learn how to preserve nature for future generations. Pegasus Foundation The Pegasus Foundation improves animal welfare through effective grant making and education in the United States, the Caribbean, Native American lands, Africa and Asia. 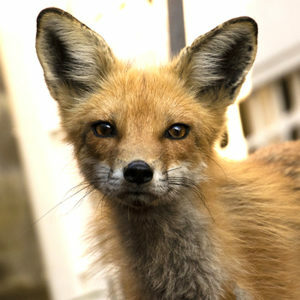 Perry Le Pews Wildlife Management Company is a trusted name in wildlife removal and prevention. 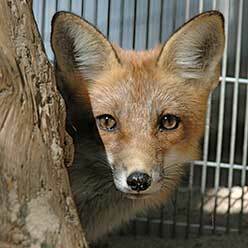 They provide wildlife removal and prevention services throughout Cape Cod and the South Shore area of Massachusetts. Their unique program was developed to teach more humane wildlife removal techniques. We recommend! Project Coyote Project Coyote is a national non-profit organization based in Northern California whose mission is to promote compassionate conservation and coexistence between people and wildlife through education, science and advocacy. Tufts Wildlife Clinic at the Cummings Veterinary Medical Center. Wild Care Dedicated to help sick, injured, and orphaned wildlife through Wildlife Rehabilitation; to reduce the number of animals impacted by human activity through Educational Outreach; and to help protect the species and the ecosystems they represent through Advocacy and Conservation. 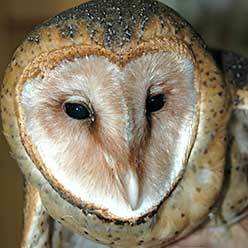 Wildlife Rehabilitators Association of Massachusetts WRAM is a non-profit organization that has been committed to the professionalism of Wildlife Rehabilitation in Massachusetts since 1992. Wingmasters Dedicated to increasing public understanding and appreciation of North American birds of prey.